Each person has many connections to the nakshatras in their birth chart. Although the Moon’s position in a nakshatra is of prime importance, the quality of the ascendant and other planets is influenced by their nakshatra position. We can be potentially connected to 10 of the 27 nakshatras. Collectively all the nakshatra temples will bless the devotees. 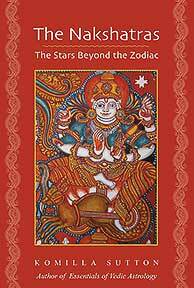 Check out Komilla’s book on Nakshatra for further reading. 10:00 AM - Free transfer from Chennai to Kanchipuram. Pick up at Chennai at a central location – to be given later and drive to Kanchipuram. You will need to be at the pickup location before 10 am. Many flights land in Chennai in the early hours – so you may need overnight accommodation. Komilla’s travel coordinator will be happy to organize this for you. On arrival at Kanchipuram, check in Hotel GRT Regency. 4:00 PM - Ekambareswarar Koil. This is an important Shiva temple. It represents the earth element in Panchmahabhuta. 9:00 AM – Pandava Dhootha Perumal Koil Temple for Rohini. 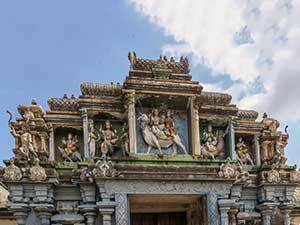 This is one of the oldest temples in Kanchipuram built by the Pallavas in the 8th century. We will do abhishekham for an auspicious start to our Nakshatra temple pilgrimage. 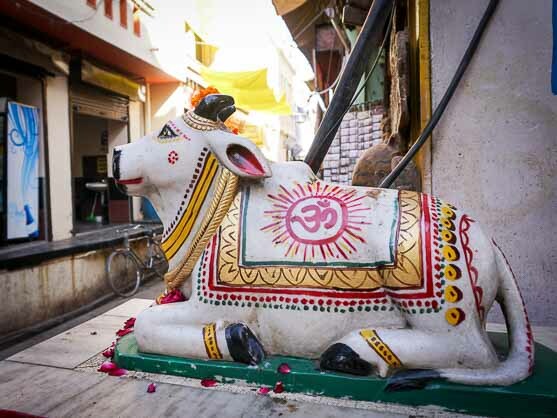 Today Moon is in Rohini nakshatra in its exaltation sign of Taurus. 4:00 PM – Kamakshi Amman Temple – Kamakshi is a form of Goddess Parvati and this beautiful temple is built by the Pallavas. 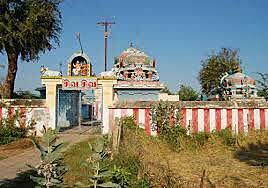 This is a shakti peeth where the navel of Sati Devi fell. 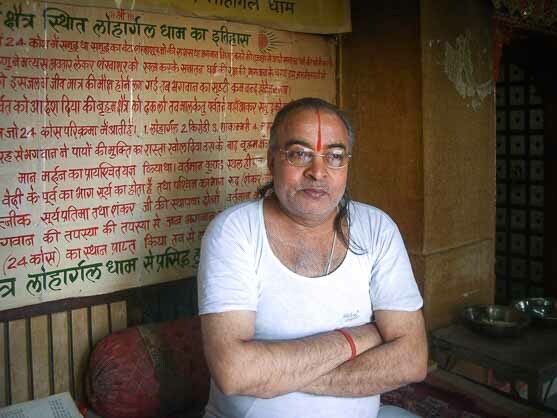 There are 51 Shakti Peeth linking to the 51 alphabets in Sanskrit. 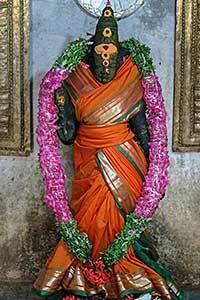 There is an important shrine here to Sage Durvasa, who is one of the chief devotees to goddess Kamakshi. Sage Durvasa represents the power of sattvic anger of the goddess, used to protect and correct her devotees, and get the blessing of her power. 8:00 PM – Welcome Vegetarian dinner - included in the costs. Overnight stay at Hotel GRT Regency, Kanchipuram. 8:00 AM – Prasanna Venkatesa Perumal Koil for Shravana. 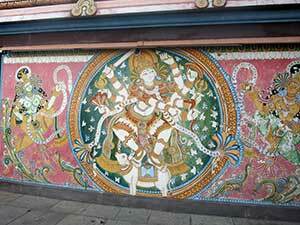 In this temple, Lord Vishnu stands among Shivalingas show that there is no difference between Shiva and Vishnu. According to the myth – when Moon lost his power and luster due to the curse, his wife who was connected to Shravana nakshatra did long penance to Lord Vishnu at this temple and he gave his blessing the Moon’s curse would get modified and he would regain his energy. 4:00 PM – Kailasanathar Temple. 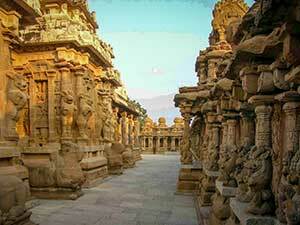 It was built from 685-705AD by Narasimhavarman II ruler of the Pallava Dynasty. The low-slung sandstone compound contains a large number of carvings. 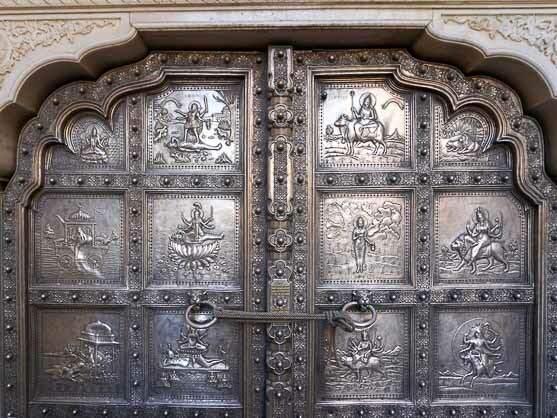 The structure contains 58 small shrines which are dedicated to various forms of Shiva. It is a stunning temple. Evening Visit to Chitragupta Swamy temple. Chitragupta is the keeper of Aakashik records and connected to Ketu. 7:00 AM – Check out of the hotel and drive to the temple. Prasanna Kundhalambika and Tantreeswarar Koil is the temple for Swati Nakshatra. 6:00 PM Fly from Chennai to Madurai. This time may be subject to change. Flight is one hour. Overnight Stay at JC Residency, Madurai. 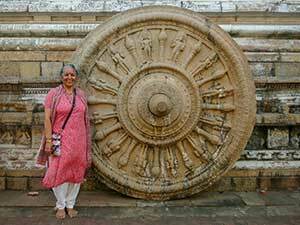 10:00 AM - 1:00 PM – Professor Jaya Sekhar workshop: Temple Architecture and its significance Part 1- Devaalaya Silpa Sasthra: Dynamic Temple Architecture. The Universal, Planetary and Cosmic Energy that radiates in a Temple from the Various facets of the Temple. 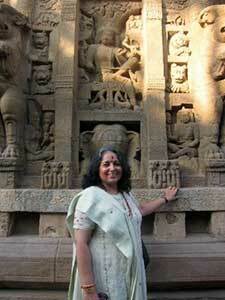 2:30 PM - Komilla Workshop on the Nakshatra temples, their remedies. Komilla’s book on the Nakshatras is a good read on this trip. 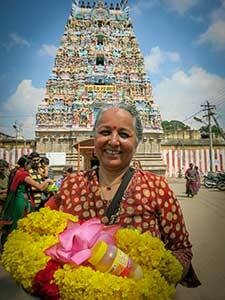 9:00 AM – Visit to the Sri Subramanya Swamy Temple at Thirupparankundram for Ashlesha nakshatra. Today is a very special day as it is Ashlesha nakshatra and Tuesday – we do the Abhisheka at the “Utsavar Sanctum” (nearby the main sanctum). 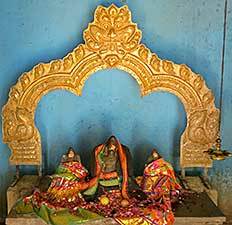 Visit the idol for Sage Parashara, he is said to have visited this temple. – costs of puja to be shared. 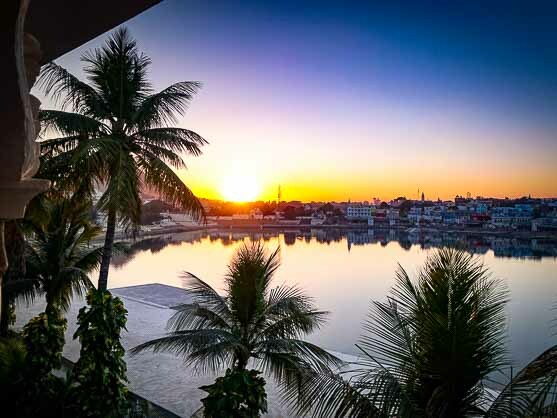 5:00 PM – Dinner at Taj Mahal Hotel with spectacular views of Meenakshi temple and Madurai. Cost included. 7:00 AM – Kuruvithurai Pralayanathar Temple for Vishakha (one hour drive). This is a beautiful small temple, full of serene positive energy. Chittirairatha Vallabha Perumal Koil temple for Chitra. (30 min from Vishakha temple). 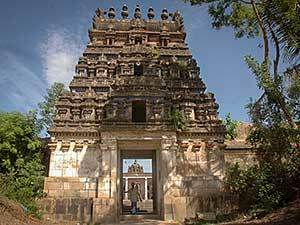 Temple for Chitra is a large and ancient temple. Outside the temple is a small temple for Guru Dakshinamurti. Lunch at Highway restaurant – on your own. 4:00 PM - Mahalinga Temple for Magha - (1-1/2 hr from Chitra temple). 8:00 AM Meenakshi temple for Mula Nakshatra. This is one of the most spectacular temples in the ancient city of Madurai. The temple complex has 4 nine-story gopurams (outer, raja), 1 seven-story gopuram, 5 five-story gopurams, 2 three-story, and 2 one-story gold-gilded sanctum towers. It is a fabulous place to visit. We will have a guide who will help us experience the best of the temple. Lunch at the hotel - included in the costs. 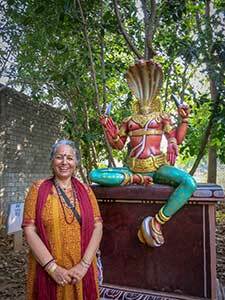 2:00 PM to 5:00 PM Prof Jaya Sekhar Workshop on Temples Architecture Part 2 - Installation of the Main Deity and Energizing the Statue. Shastric procedure to visit and perform Puja in a Temple. 6:00 PM to 8:00 PM Food Safari – exotic foods of Madurai. A wonderful culinary experience to sample the best street food and little restaurants cooking their number one dish. We will experience street food too – but from hygienic places. Madurai is the ideal place to taste a variety of food, as there are a lot of outlets that prepares exclusive & mouth-watering dishes that you can never taste anywhere else. This will definitely be a culinary treat for the tourists who love to explore new dishes. Included in the costs. Included in the costs. 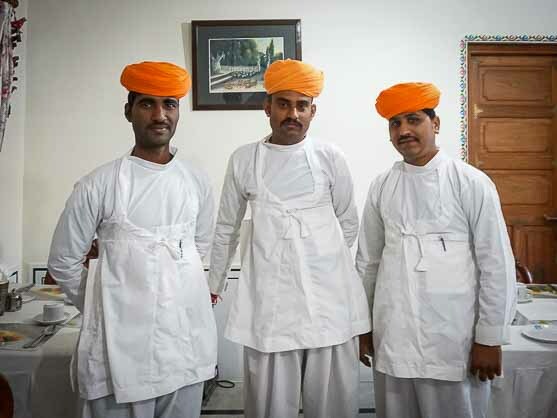 This Food Safari is done by taking our guests to different food outlets in Auto Rickshaw, Cycle Rickshaws, Public bus for an experience, by walk sometimes, by Van if required, to save time as well as to make the evening as interesting as possible. Our exclusive food tour will stimulate your taste bud for more. 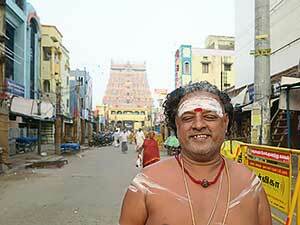 We will also experience Madurai life. 8:00 AM Sri Brahmapureeswarar Meenakshi Sundareswarar) Temple for Uttara Ashadha Nakshatra. Brahma visited this temple after Shiva cut off his fifth head. It is a very powerful temple that devotees go when they need blessings to have children or if marriage is blocked. Uttara Ashadh nakshatra is first in the position of all the other 26 stars. All other 26 nakshatra deities offer special Pooja to Uttara Ashadha when the Moon is in their nakshatras. Evening Visit to painted havelis of Chettinad and saree weaving center. Chettinad is famous for handwoven cotton sarees – we will visit one of the best places to buy them. 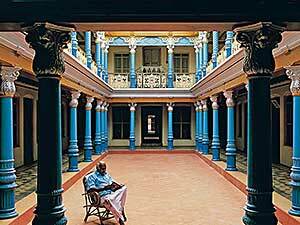 Chettinad Havelis represent the faded grandeur of wealthy traders of Chettinad. 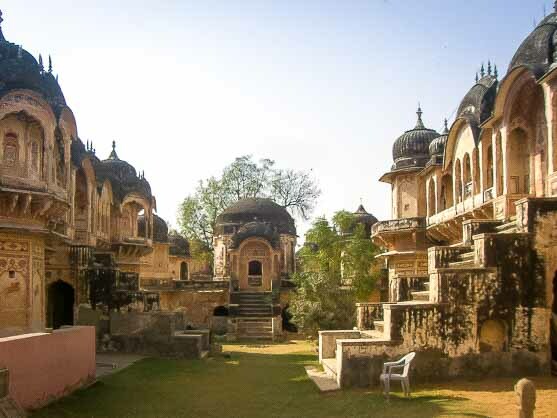 Now they have all moved out – their havelis survive in their faded grandeur. 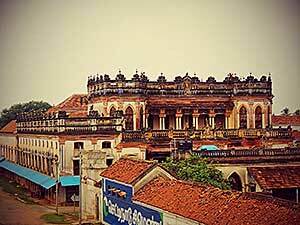 Overnight at Chettinad Mansions – dinner included in the cost. Due to Republic day holiday. 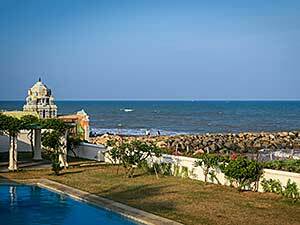 Our stay in Karaikudi is divided into two hotels on 25 January and 26th January. 8:00 AM Akshayapureeswarar Temple for Pushya Nakshatra and Saturn. A very special day as it is Saturday. 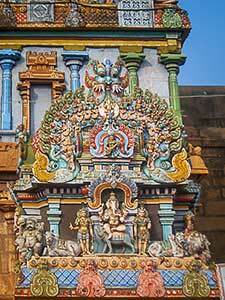 Akshayapureeswarar Temple is the temple where Lord Saturn went after his legs were broken, to pray to Lord Shiva. His prayers were successful and his legs healed. This is a temple where people go for Pushya nakshatra and Saturn. Lord Saturn is with his two wives Jyeshta devi and Manda devi dressed in their wedding gear. 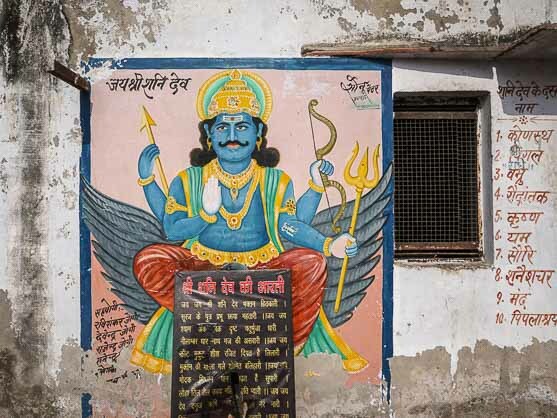 Saturn is said to still visit this temple regularly to pray in his invisible form. We will need to check out of our hotel and then go to the temple. Overnight Stay at Bangala Karaikudi. Dinner included in the cost. 7:00 AM This is a full day programme as we visit two temples, then travel on to Trichy Sahasra Lakshmeeswarar Koil Temple for Uttara Bhadra. This is the temple where Goddess Lakshmi worshipped Lord Shiva with 1000 lotuses and hence it is called Sahasra Lakshmeeswarar. It is a small but very powerful temple, the priest is very special and his chanting voice extremely powerful. 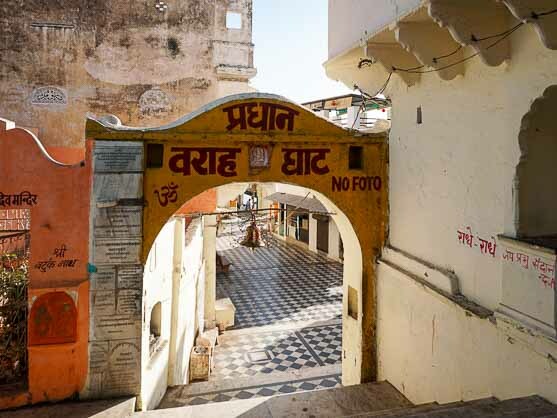 This is a remote temple that is far off any tourist map, yet people come here to worship to gain the blessing of Lord Shiva. 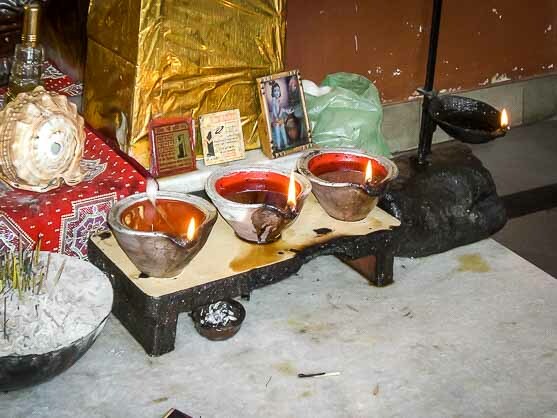 According to the myth Sages Angiras, Ahir Budhnya, Vishvakarma and Agni come to pray in their invisible form regularly. 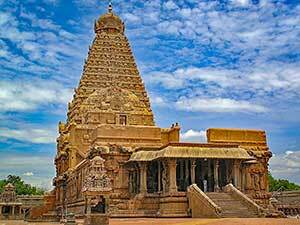 This temple is also connected to Lords Surya and Agni, therefore doing homa (Fire ceremony) is important. We will do Homa to Lord Shiva here. Costs to be shared. Drive to Trichy (about 3 hours from Ardra temple). Overnight at Hotel Sangam, Trichy | Dinner included in the costs. 6:30 AM Sri Tiruvaneshwar Temple for Purva Bhadra – according to the temple sthala purana story Kala Bhairava created the seven weekdays when Moon was in Purva Bhadra nakshatra. This is a remote village where we drive through the green farms to get to it. The temple is old and not is such a good condition. This temple was built in 1000 AD and it is believed the Indra worships here with Airavat, his white elephant in the formless form. Donation of clothes at this temple is especially auspicious. Mangalyeswarar Koil for Uttara Phalguni is known to grant wishes for those who want to get married. It also heals family disputes. Devotees come to seek blessings as soon as their marriage is finalized. 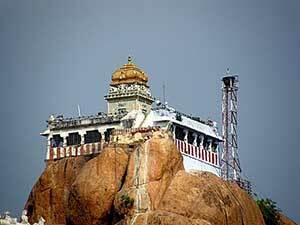 5:00 PM Ganesha Ucchi Pillayar Rockfort temple on the hilltop – This 7th century temple is mystical with spectacular views of Trichy. Overnight at Hotel Sangam, Trichy. 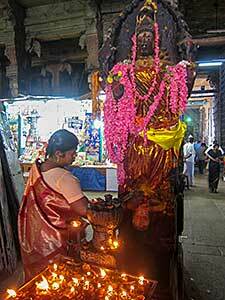 7:00 AM Kailasanathar Koil for Revathi blesses all devotees. Usually, they offer 27 items at this temple, one for each Nakshatra. The shops outside the temple will sell these items and they can be bought according to our budgets. 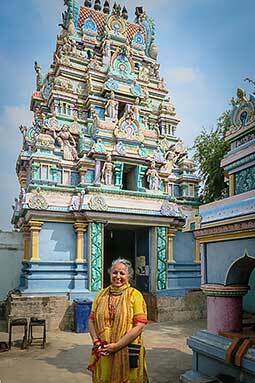 Kailasanathar Koll Temple helps all who visit to overcome negativity and health issues. 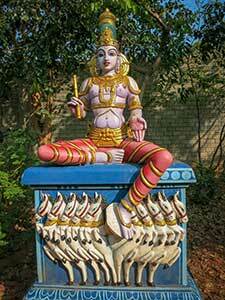 It is a special place to worship Varuna. 4:00 AM Jambukeswara is the temple for Swati Nakshatra and represents the water element of the Panchamahabhuta, five great element temples. 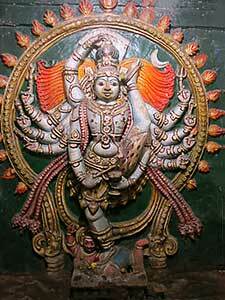 It will be followed by a visit to Srirangam, the spectacular temple for Lord Vishnu. Overnight Stay at Hotel Sangam, Trichy. 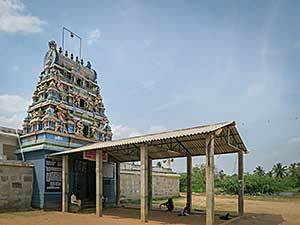 7:00 AM Sri Akashapureeswarar Temple for Purva Ashadha (2-hour drive from Tichy) – People visit this temple to pray for success in business. Visiting the temples will enable early marriage and get peace and prosperity in your life. The temple is only open for few hours in the morning hence we need to leave early. Lunch Vegetarian Lunch at Ideal River Resort. Cost included in the program. 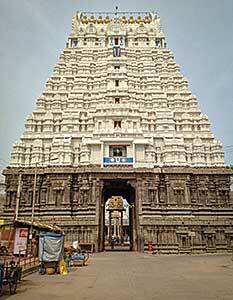 4:00 PM Brihadeshwara Temple is a superb example of South Indian architecture. 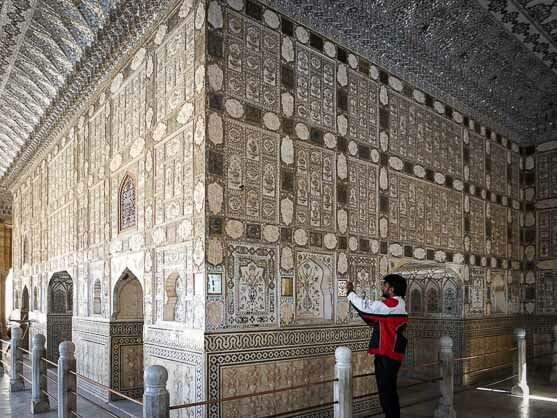 Built in 1100 AD, it is now a world heritage site. 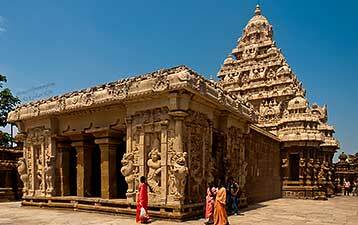 It has one of the largest Vimana in south India towering over the temple. The nakshatra for the temple is Shatabhishak. Overnight at Indeco Hotel, Kumbakonam. 9:00 AM Apatsahayesvarar Temple, Alangudi for Punarvasu. This is also a temple for Jupiter and Guru. Today is Thursday, a special day to visit the temple. 5:00 PM Shweta Ganesha Temple, white Ganesha temple. This temple is very close to our hotel and has a beautiful spiritual energy. Lord Ganesha idol is made of white marble and is supposed to resemble the froth from the churning of the oceans. 6:00 AM Shri Piravi Marundeeswarar for Ashwini. We visit it on Friday. It is a beautiful old temple – on Fridays, the ladies come to pray for long marriage. 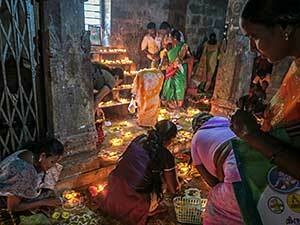 They light lamps and offer flowers – the temple is shining with hundreds if not thousands of lights. The energy is so powerful and special. 8:00 AM Sri Krupakupareswarar Temple for Hasta. Sri Krupakupareswarar grants mercy to all who visit him and he gives peace of mind and clears confusion for devotees. Great Siddhas visit this temple in their astral bodies so they have the powerful energy for learning and wisdom. This temple is old and remote. Sri Kalyanasundareswarar Swamy Temple - for Purva Phalguni. (One hour from Hasta). This temple is famous to give blessings for marriage and love. Couples visit this temple after marriage to seek the blessing of the deities. 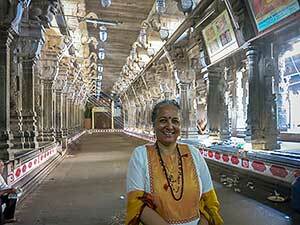 5:00 PM Visit to Adi Kumbeshwara temple – then visit the shops outside the temple. 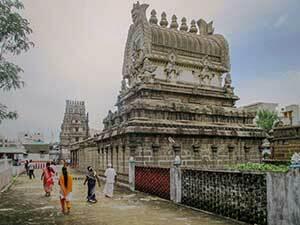 Both Bharani and Krittika temples are old and not in good repair. The priests requested that we come again in order to bring attention to these beautiful and powerful Nakshatra Temples. Lunch Vegetarian lunch at Neemrana Bungalow on the beach Tranquebar. Cost included in the program. 4:00 PM Kathiramangalam Vana Durga for Mrigasira. The presiding deity is Shri Vana Durga Parameswari Amman. 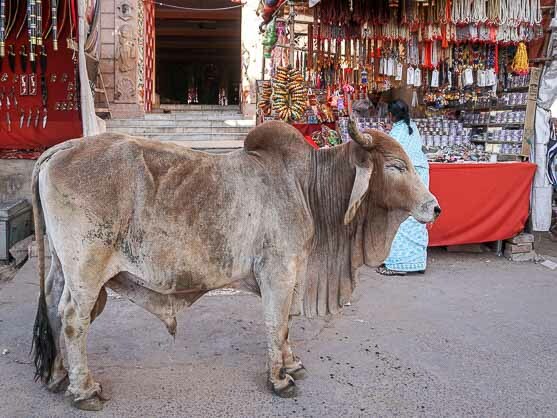 It is believed that she visits Kashi during the nights and comes back every day.”. 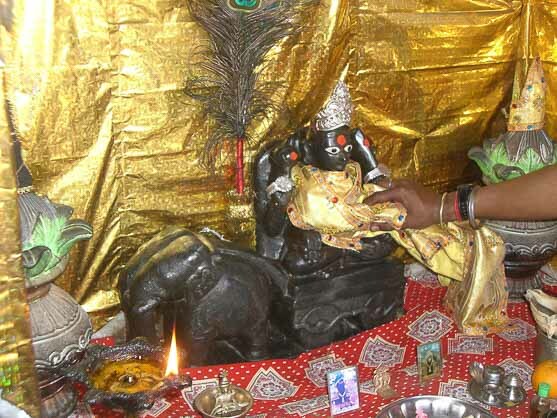 Special poojas are held during Rahu Kalam on Sundays at this temple and the goddess is also called Rahu Kala Durga. We are visiting on Sunday and Rahu Kalam is from 4.30 pm to 6:00 pm – so we will visit during that time and can watch the special ceremonies. Devotees make archana prayer to get a remedy for various issues by using different flowers like senthamarai for money, malligai for peace, Sevanthi for debt clearance, several for united family, manoranjitham for the reunion of couples, marikolunthu for the union of relationships, sembaruthi for business, Roja for marriage. These flowers will be available outside the temple if you would like to do any of these remedies. 4:00 PM Sri Varadarajaperumal Temple and Pashupradeeshwarar temple – there are two temples for Jyeshta – one for Lord Vishnu and another for Lord Shiva. They are both old and beautiful close to the hotel. Not in the best condition but the spiritual energy is very powerful. 8:00 AM Shri Brahammagnana Pureeswarar for Dhanishta – Today the Moon is in Dhanishta so it is a special time to visit this temple. The temple is in a state of disrepair and it is part of the aim of the trip to visit neglected temples and show our support for them. 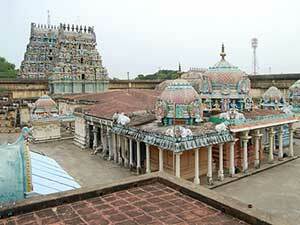 4:00 PM Swaminathaswamy Temple is one of the most important temples for Lord Murughan and Mars. 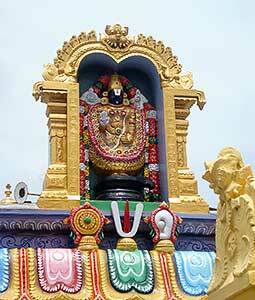 This is where Lord Murugan gave the mantra Aum to his father Lord Shiva. 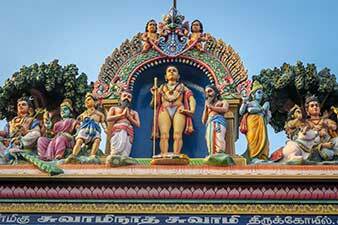 We visit on Tuesday so good day to ask the blessing from Lord Murugan. 8:00 AM Agnipureeshwarar for Shatabhishak temple. Today the Moon is in Shatabhishak so it will be a special day. 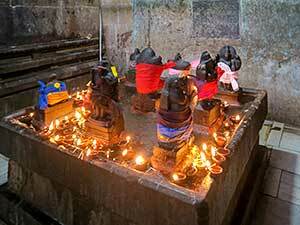 Here is where Agni worshipped to Lord Shiva. It is a rare form of Sri Agni (fire God) with two faces, 7 flames, 7 hands, 4 horns and 3 feet. 1-1/2 Hour Drive from Indeco, Kumbakonam. We check out from our hotel and move to the Mantra Koodam Hotel. Overnight at Mantra Koodam Hotel, Kumbakonam . 8:00 AM Nataraja Temple, Chidambaram for Ardra Nakshatra. 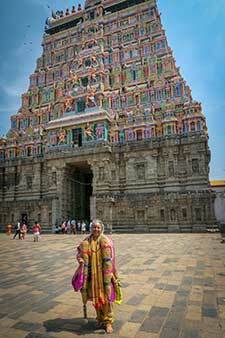 This is a spectacular temple where Sage Patanjali came down to watch the cosmic dance of Lord Shiva. It represents the Aakash element and represents the wisdom and knowledge. The main festival of this temple is when the full Moon is in Ardra nakshatra. Lunch Lunch with the priest | Deekshithar Subramania Swami. 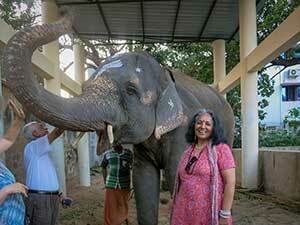 6:00 PM Visit to Manakula Vinayaka Temple and meet with elephant Lakshmi. 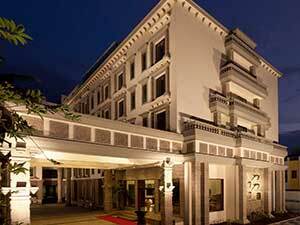 Overnight Stay at Annamalai Hotel, Pondicherry. 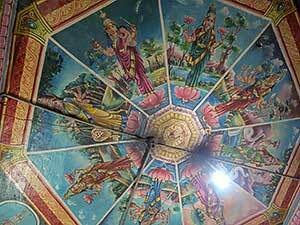 8:00 AM Irumbai Mahakaleshwar Temple - Navagraha are all with their wives and beautiful Kerala style painted frescos. 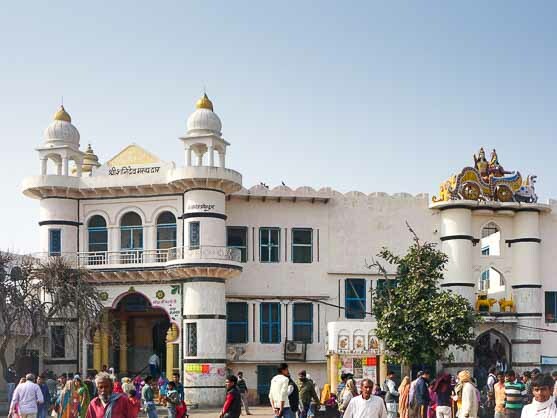 Shri Vishwaroopa Maha Saneeswara Bhagavan Temple – this has the twenty-seven nakshatras and their deities, Navagraha, 27 ft tall Lord Saturn and the 12 rashis. Trees connected to all- nakshatras, planets and rashis. 3:00 PM Transfer to Chennai International Airport | 3 Hour Drive | Book flights leaving after 10:00 pm. Accommodation – Check in on 17 January and Check out on 8 February | twin sharing basis. 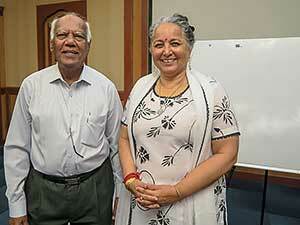 Workshops with Prof Jaya Sekhar and Komilla on 21st and 24th of February. Breakfast will be provided at the hotels. Air-conditioned Tempo Traveler with Experienced driver as per the programme. Lunch on 21st January (JC Residency | Workshop), 24th January (JC Residency), 27th January (Temple Priest -Theeyathur), 30th January (Ideal River view), 3rd February (Bungalow on the Beach), 4th February (Indeco) and 8th February (Annamalai). Food Safari Tour in Madurai on 24th January (6 pm to 8 pm). Complimentary mineral water bottle in the Vehicle. Transfer from Pondicherry to Chennai Airport on the 8th February. Flight (economy) from Chennai to Madurai on 20th January. Cost of Travel to India. Transfers not specified before or after the trip. Lunch and Dinner at the hotels except what is mentioned above. Entrance fees at historic sites, camera fees, tips, etc. Personal puja costs, group pujas costs will be shared. Tips – During check in / check out at the hotel / Restaurant / Drivers, etc. Personal expenses like phone, laundry, porterage, Wi-Fi. Hotel on 16th January or 8th February | Early check-in and late checkout at the hotels. Dakshina for the Temple Priests, Archana, Flowers, Garlands for the deities, Abhishekams, Homams and cost for any Pooja related arrangements at the temples. * NOTE: Per Person Cost of the trip includes a SHARED ROOM. If you want to have your own room, please purchase a "Single Room Supplement". 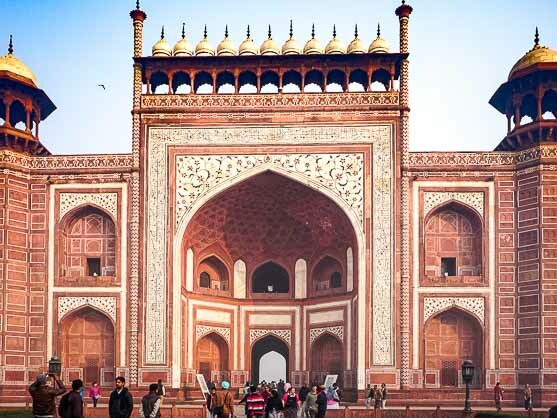 India Trip NO refund AFTER 1 October 2018. 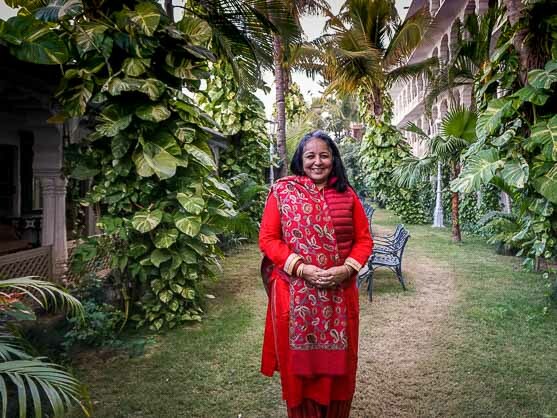 Komilla has been doing courses and trips to India since 1999. 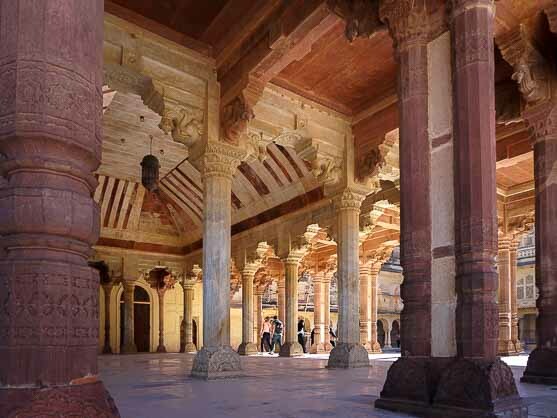 You will be introduced to the land of the Jyotish on each different India Trip. 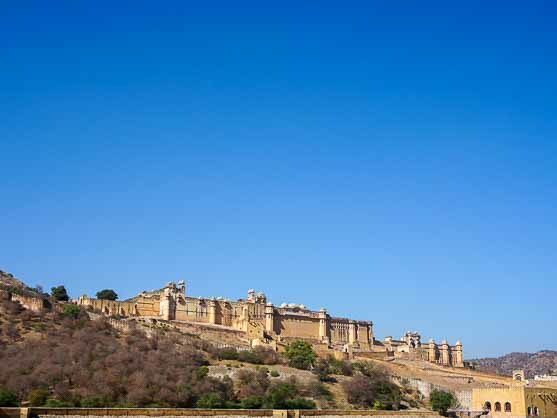 Your India adventure will take you to historic landmarks with great meaning within the Vedic Astrology world. 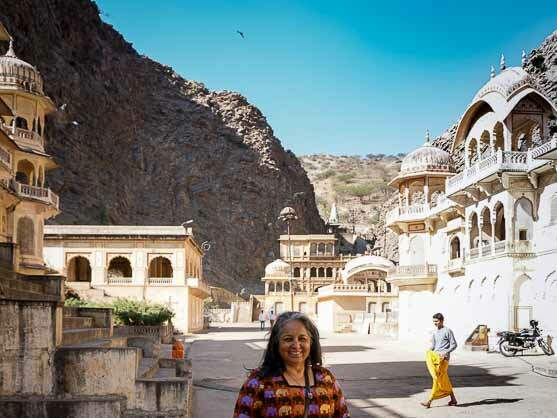 You will visit unique temples and pilgrimages, broadening your knowledge and exploring their deep connection to Vedic Astrology. Please remember to book early - the trips fill up quickly.